Who doesn't love a good cupcake? 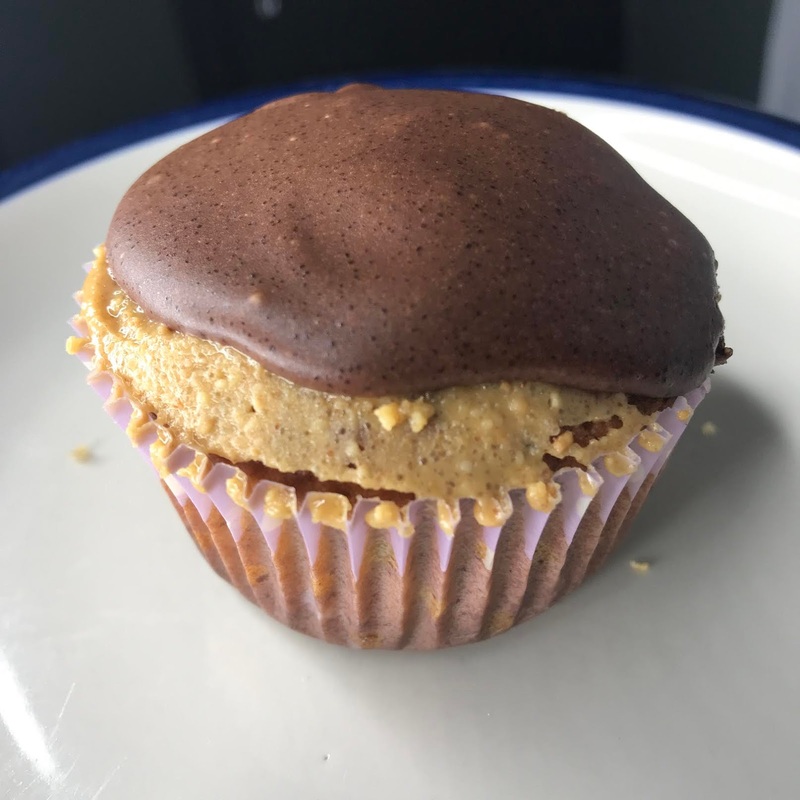 Especially when it fits into your keto life and tastes like a Reese's peanut butter cup! For this weeks recipe Thursday we made Keto Chocolate Peanut Butter Cupcakes that I found over at Joy-Filled Eats. and let me just say that they were the most delicious cupcakes ever!! Preheat the oven to 350 degrees F. In a bowl with an electric mixer, cream the butter and sweetener until it is light and fluffy. Add the sour cream and vanilla and beat until combined. Add the eggs and mix well. Stir in the flours, baking powder, and salt until thoroughly combined. Divide the batter between 12 muffin cups lined with paper liners. Bake for 30-35 minutes. Let completely cool. Melt the chocolate in a glass bowl in the microwave stirring every 30 seconds. Warm the cream in the microwave until it is about the same temp as the chocolate. Use an electric mixer to incorporate the cream into the melted chocolate. Add the sweetener and mix until smooth and shiny. It should be about the consistency of hot fudge. Let chill in the fridge and enjoy! !